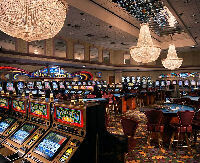 Marriott Resort and Stellaris Casino in Palm Beach Aruba has a 15,250 square foot casino floor featuring 525 slots, 26 table games, seven restaurants and 411 room hotel. Slots open 24 hours and tables open 2pm-4am. 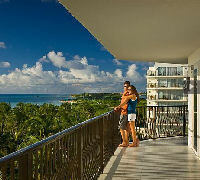 First class Marriott Resort hotel with 411 rooms and located on the water. 18 hole Tierra Del Sol golf course is one mile away.